With the recent earthquake in Napa Valley, California, many questions may have come to mind about earthquakes. 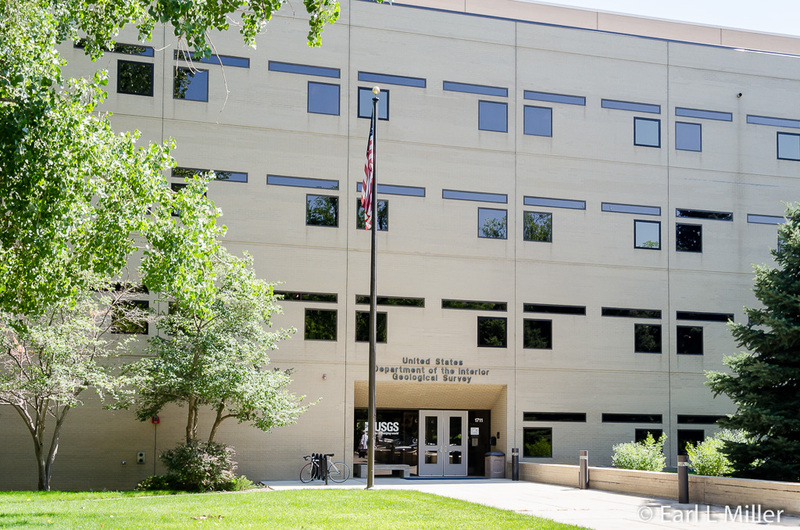 A great place to go for answers is the National Earthquake Information Center (NEIC) in Golden, Colorado on the Colorado School of Mines campus. They offer a “tour” lasting 45 minutes to an hour. You don’t really go behind the scenes in their facility. What you will see is a working seismograph, story boards, and a large touch screen monitor on which they provide a slide show. You’ll hear a lecture about how their facility operates, the earthquake alert system, and anything you might want to know about earthquakes. The NEIC was established in 1966 in Rockville, Maryland as an extension of the National Oceanic Survey of the Commerce Department. In 1972, it became part of the U.S. Geological Survey. In 1973, it was transferred to Boulder. Since 1974, it has been at its present site. The Center has three missions. 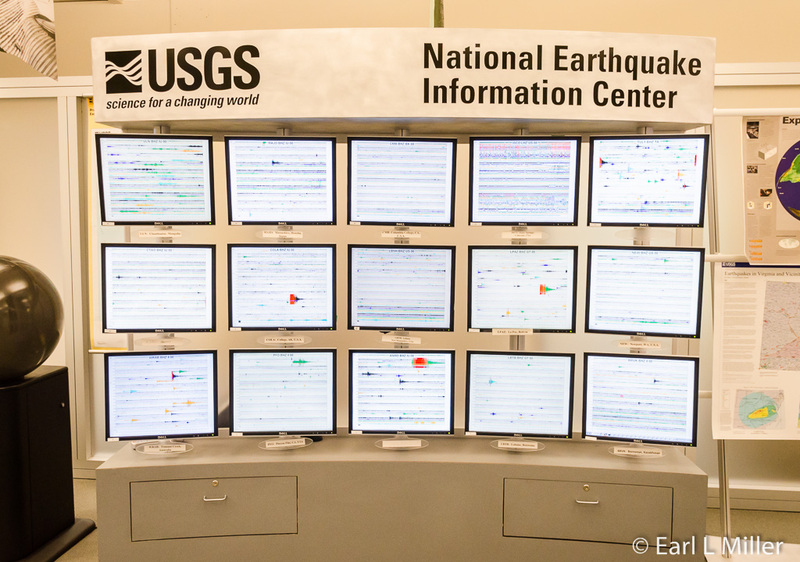 First, it determines specific information about earthquakes occurring all over the world. For example, their magnitude, intensity, and location. Second, it then collects the data and distributes it as quickly and as accurately as possible. NEIC usually determines earthquakes within five minutes and posts it to their web site within 20 minutes. The data is sent to scientists who have a seismic database used in their research, including those who are doing aftershock research. It is also sent to government agencies responsible for responding to emergencies, the news media, and the general public. Earthquakes can cause landslides, block roads, affect rivers, and damage railroads and nuclear plants. If any of these are near the quake, the people responsible for them also receive the advisory so they can be inspected. NEIC also distributes information they receive from other countries. Their third mission is conducting a research program to improve locating and understanding earthquakes to reduce their threats. Because of limited resources and operational constraints, public tours are restricted to Monday (9-10:30 a.m. and 2:00 p.m.) and Thursday (9-11:00 a.m. and 2:00 p.m.). No walk ins allowed. Call them at 303-273-8420 to schedule a tour. Their address in Golden is 1711 Illinois Street. Parking is limited so plan your visit accordingly. There are 3 visitor and 4 handicap accessible spots available in their lot on a first-come, first-served basis. The lot is located off of 18th street on the east side of their building. Why is NEIC located in Golden, Colorado? Big earthquakes could knock out seismometers. Golden is a lot safer place to have it than California. From Golden, the NEIC can monitor the whole world and tell the earthquake’s magnitude. The Earth’s outer surface, the crust, has pieces, like puzzle pieces, covering the earth. These are called tectonic plates. They keep slowly sliding around, moving, and bumping into each other. A fault is a fracture in the crust along which two blocks of crust have slipped with one another. They can do this in one of three ways. Normal faults are a response to the crust pulled apart or stretched. The overlying block moves down the fault plane. Thrust (reverse) faults occur due to squeezing or compression. The overlying block moves up the fault plane. Thrust faults are all magnitude nine and are what cause a tsunami. Strike-slip (lateral) fault are due to any type of stress. The blocks move sideways with one another. Plate edges, called plate boundaries, can stick together while the rest of the block is moving. The energy that would normally cause the blocks to slide past one another is stored up. It’s released when the force of the moving blocks overcomes the friction of the fault’s jagged edges and unsticks. That energy radiates outward in all directions in the form of seismic waves through the earth’s crust. These waves shake the earth, as they move through the crust, and the ground and anything on it when they reach it. Big earthquakes occur with a movement of about a meter or two; smaller ones happen with movements measured in millimeters. Earthquakes can also be caused by volcanic eruptions or manmade explosions. What are Foreshocks and Aftershocks? Foreshocks are smaller quakes that precede in the same place as the larger earthquake that follows. The main earthquake is called the mainshock. Smaller quakes occurring afterwards in the same general area are called aftershocks. These can continue for weeks, months, and even years after the mainshock. Their frequency decreases with time. It’s estimated 500,000 detectable earthquakes in the world occur annually. 100,000 of those can be felt and 100 of them cause damage. NEIC locates over 20,000 earthquakes a year or approximately 55 per day. Large earthquakes occur about once a year while smaller earthquakes, such as a magnitude two, occur several hundred times a day. The size of an earthquake is described using the Richter Magnitude Scale. The larger the number, the bigger the earthquake. Their magnitude is on a logarithmic scale with each number increasing 10 times more than the preceding one in intensity. The magnitude measures the size of the earthquake while the intensity records the amount of shaking and damage caused by the earthquake. Magnitude is the same number no matter where you are or how strong or weak the shaking. The value of intensity changes from location to location. What Factors Determine an Earthquake’s Damage? Many factors affect this. Magnitude is one. Local geology conditions are another. An area which has unstable ground such as sand and clay is likely to experience more noticeable effects than an area composed of granite that’s equally distant from an earthquake’s epicenter. Generally, earthquakes east of the Mississippi River affect a larger area than quakes west of the Mississippi River. One factor is the focal depth - how deep the earthquake is in the earth compared to the area where an earthquake’s energy originates (the focus). Another is the distance from the point on the earth’s surface directly above the focus (the epicenter). An earthquake’s location is commonly described by its focal depth and the geographic center of its epicenter. The architectural designs of buildings and other structures, as well as the density of the population and construction, are also vital. Seismographs record two different types of waves: P or primary waves which arrive first and S or secondary waves which follow. To best understand this, think in terms of thunder and lightning. P waves are like lightning and S waves are like thunder. If you are close to the earthquake, P and S waves are close together. If you are far away, there is more time between the two. Scientists can tell how far away the earthquake is from a particular location by measuring the time between the two. To determine the exact location of an earthquake, scientists use triangulation. They use three seismographs to locate an earthquake. They draw a circle on a map around the three seismographs where the radius of each is the distance to the earthquake. Where the three circles intersect is the epicenter (center) of that earthquake. Seismometers are all over the world. With earthquakes happening all the time, the level of detection depends on the number of seismometers in the area and the intensity of the quake. For example, in California, NEIC sees everything down to a .5 quake. In the middle of the ocean, they don’t notice a four. Tsunamis are ocean waves triggered by large earthquakes occurring near or under the ocean, volcanic eruptions, underwater landslides, and onshore landslides in which large amounts of debris fall into the water. They are not “tidal waves” because they aren’t caused by tides. They typically consist of multiple waves that rush ashore like a fast-rising tide with powerful currents. They can travel much farther inland than typical waves and rapidly reach coastal communities. These waves can last for hours. No. The San Andreas Fault System is the boundary between the Pacific Plate and North American Plate. It consists of a fault zone, 800 miles long, made up of many segments. Movement may occur among any of these fault segments at any time. The earthquakes in this area are due to plate motion with them moving horizontally past one another. California won’t fall into the ocean but 15 million years from now, Los Angeles and San Francisco will be adjacent to one another. If you are indoors, stay there. Get under a table or chair, stand under an interior doorway, or against an interior wall. Stay clear of windows, fireplaces, or heavy furniture or appliances. Get out of the kitchen. If you are outside, get into the open away from buildings, power lines, chimneys, and anything else that might fall on you. If you are driving, stop, but carefully. Move your car as far out of traffic as possible. Do not stop on or under a bridge or an overpass or under trees, light posts, power lines, or signs. Stay inside your car until the shaking quits. When you resume driving, watch for breaks in the pavement, fallen rocks, and bumps in the road at bridge approaches. If you are in a mountainous area, watch for falling rocks, landslides, trees, and other debris that could be loosened by quakes. Do not turn on the gas again if you turned it off. Let the gas company do it. Do not use matches, lighters, camp stoves or barbecues, or electrical equipment appliances UNTIL you are sure there no gas leaks. Do not use your telephone, except for a medical or fire emergency. Do not expect firefighters, police, or paramedics to help you. They may not be available. The largest recorded earthquake in the United States was a 9.2 magnitude that struck Prince William Sound, Alaska on March 28, 1964. The largest recorded earthquake in the world was a 9.5 magnitude in Chile on May 22, 1960. Most of the rumbling heard during earthquakes are buildings and their contents moving.